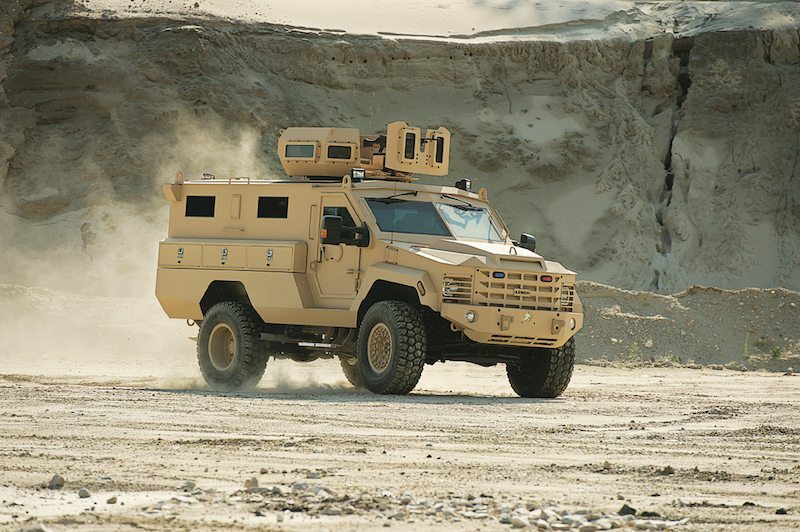 The US armored vehicle manufacturer Lenco has a storied history of assembling bespoke trucks for its biggest customer–the federal government. As its product line has expanded to end users in the military, different variants are now marketed under the BearCat brand. The most robust is the BearCat G5 that boasts a mine-resistant v-hull and a surprising degree of combat optimization. The BearCat G5’s ideal role is an off-road troop carrier for remote locations or sparse border areas where ground forces need to deploy. 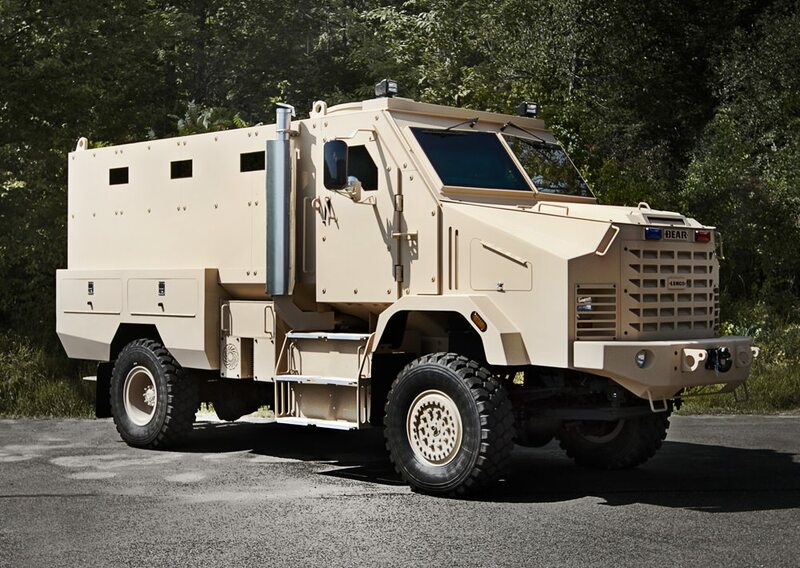 Unlike other vehicle manufacturers Lenco isn’t too forthcoming about the BearCat G5’s performance characteristics although its product literature emphasizes STANAG ballistic resistance that’s probably at level II or III. The truck’s hull is made of welded steel and is reinforced by a familiar “cradle”–notice the storage bins above the rear tires–that help absorb and deflect bomb blasts. The BearCat G5 has a very generic appearance and its weight doesn’t appear heavier than the average 15 tons for most MRAPs. The passenger compartment has blast attenuating seats for seven people, who enter via swing doors at the back, in addition to the driver and co-driver at the cab. An internal fire suppression system is available as a bespoke feature. When deployed in a war zone, Lenco insists the BearCat G5 can fulfill a “counter assault” role thanks to its roof turret designed for machine guns and grenade launchers. It hasn’t been specified if any BearCat accommodates a remote weapon station or external cameras but with the G5, at least, circular firing ports on the doors of its cab allows its occupants to fight from inside the vehicle. The BearCat G5 isn’t amphibious. Wading across a stream or a shoreline is the best it can manage in the outdoors. In summation, this truck is a decent option when compared to an unprotected Humvee or a civilian pickup co-opted for military use. The same applies to its siblings in the BearCat family, which includes a dozen vehicles by now, although the G5 reigns supreme for armor and overall toughness. 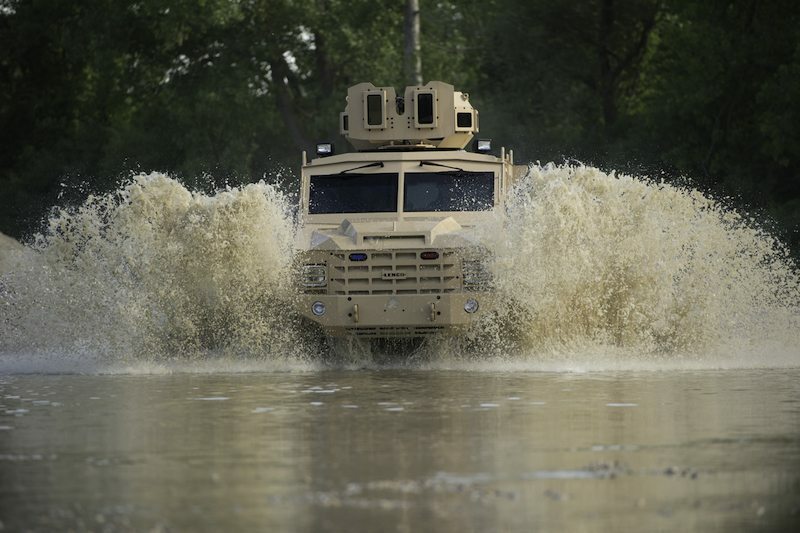 Lenco offers three other BearCats suited for combat; BearCat ambulances and engineer vehicles; a BearCat for local “dignitary transport” or VIP protection; BearCats for anti-riot, border patrol, and firefighting; and two BearCats with open beds like pickup trucks. The specific niche most BearCats fill is for security details tasked with protecting convoys or people. This stems from Lenco’s experience building trucks for US embassies and forces abroad. 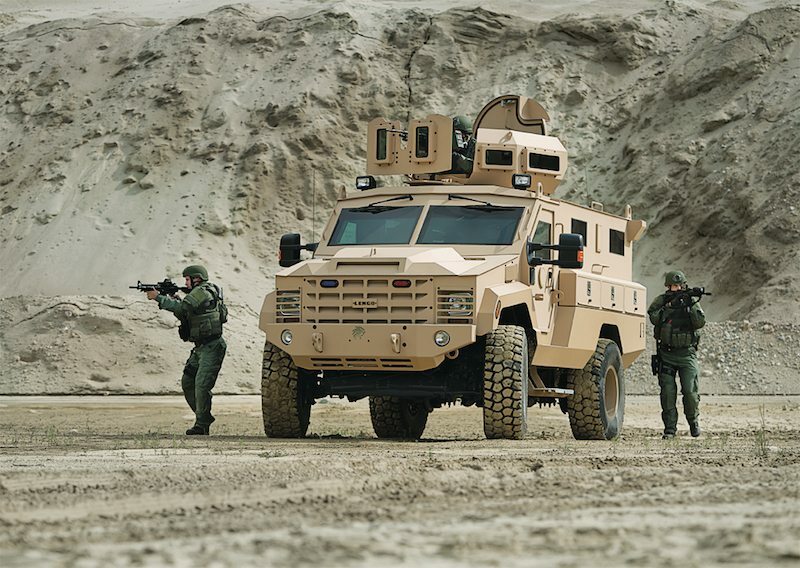 The Bear MRAP can transport 17 fully equipped soldiers. Via Lenco Armor. Lenco’s BearCats are already a staple with police departments throughout North America. They’ve also been sent abroad to fight in the Middle East. As unglamorous as these trucks might appear, the BearCats have a superb reputation to vouch for them.